What long-term financial plans do you have for your family? Are you confident that your financial assets will be transferred to your loved ones after your death? Does your will reflect your current family situation? Or has a life-event made some changes necessary? 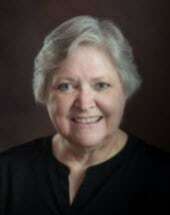 I am estate planning and probate lawyer Sally Shattuck. These are a few of the questions I am asked and answer every day at Shattuck Law Office, LLC, in Ashland, Kansas. I tailor my services to meet each client's family needs and objectives. That means sitting down together to discuss your current circumstances, reviewing what documents you have in place, what may need updating, and how to structure tax and financial plans to make sure you are comfortable with every detail of your estate plan. It is never too early or too late to start estate planning. Call my office at 888-520-3984 to schedule a time to sit down together at my office in Ashland.